I wish Forgiveness 101 was a class taught in grade schools and high schools everywhere. We are so impressionable at those young ages and experience so many hurtful moments between friends. When you are not prepared to handle conflict and resolution, budding relationships full of passion and emotion can leave emotional scars and bruises for many years to come, thus affecting adult interactions and forming communication habits for better or for worse. With the many close relationship we will encounter over the course of our lives, conflict is inevitable. But, while it takes two people (egos) to fight, it only takes one to forgive. Forgiveness can be a natural tendency for some, but it is also a developed communication skill. For some relational behaviors, you can try to “fake it till you make it,” when you need to just get through a rough patch or situation. However, with forgiveness, it is a different story. 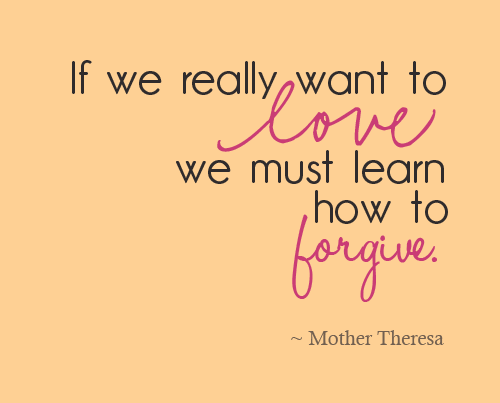 If you say you forgive someone without genuinely doing so completely, unfortunately, you are the person who suffers. Forgiveness is often hard to do because of feeling like we give the other person power; asserting they were somehow right or helping them to feel better and not ourselves. Countless times I have heard friends complain they wish the other person, just once, would apologize and forgive them first. But instead, feel like they always have to be the one to initiate the process. However, apologizing and forgiving are two very different things often lumped together in one broader category of conflict resolution. So, lets sort them out a little. Within the textbook Close Encounters, Apologies are defined as “admissions of responsibility and regret for undesirable events.” (45, Communicating Identity: The Social Self) In other words, taking responsibility for a behavior and not avoiding the consequence of your actions. Generally, when you apologize, it is you who has done something of harm to another, whether it was physical or emotional. When you are unwilling to apologize for your actions, you leave the relationship in a state of distress and the only option other than destruction is for the other person to be willing to forgive you. When neither takes place, a cycle of denial and avoidance will inevitably become a force for further conflict. Note that behavior that may be okay in one relationship may require forgiveness in another. Not all relationships are the same. This starts with saying “I forgive you,” (explicit forgiveness in its clearest form) but simply saying it is not enough. That is where the next two characteristics of forgiveness come in. It is important to notice that when we don’t allow this third step of emotional transformation to occur, we are not hurting the other person back. It is truly ourselves who suffer the most. 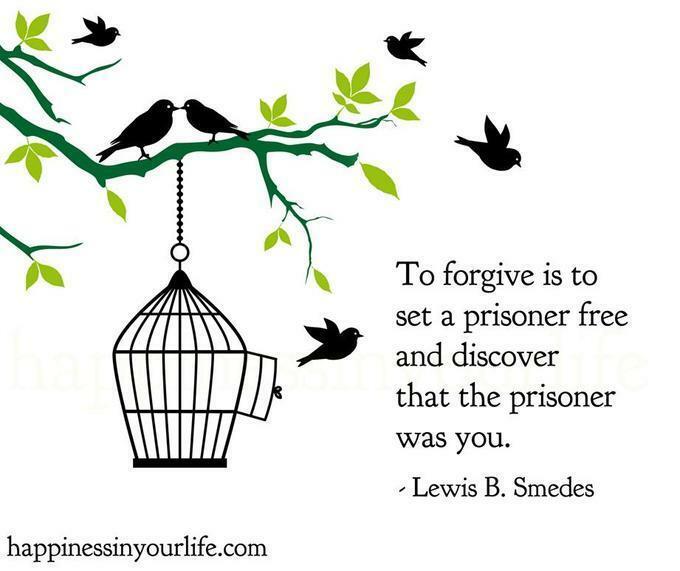 Forgiveness is an act of setting yourself free from the continued emotional burden. It is here we find the power and importance of the renegotiation process and desire to do so by both or all individuals involved. If the newly negotiated areas of the relationship are not sufficient or one person is unwilling to move forward, the relationship will continue to struggle. Connected to the renegotiation process is also how one communicates in the aftermath of conflict. From an interpersonal communication perspective, active listening is just as important (if not more) as effectively communicating your own feelings and your non-verbal behaviors play a role in the process and outcome as well. During conflict, a tendency is to focus more so on what you are trying to say – the point you are trying to prove in order to be right – rather than to communicate for the purpose of resolution and listen, in order to really understand what the other person is attempting to convey. If we learn to be better active listeners, we may realize that there are common grounds we agree upon, more so than disagree. Also, it may give you the ability to “walk in their shoes,” if only for a moment, to best understand why they may feel as they do. 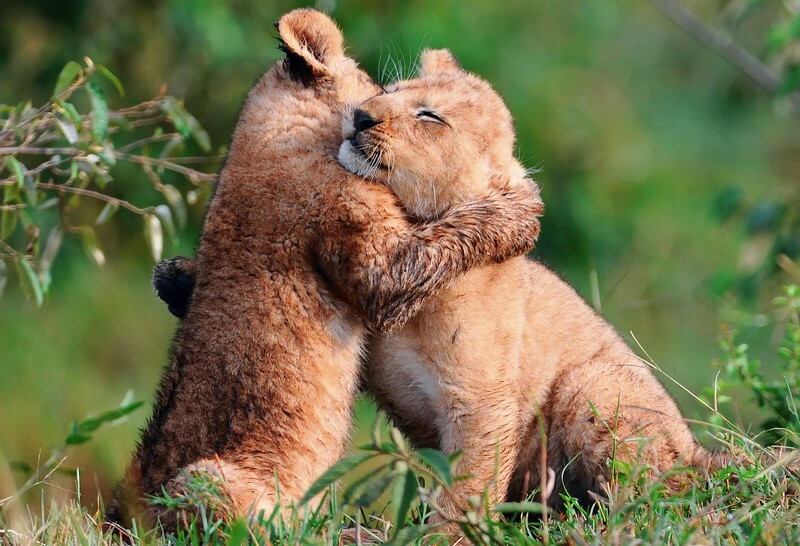 Extending forgiveness non-verbally can be in the form of positive facial expressions, offering a smile, a hug or nodding that you understand and have compassion in the moment. Also, if we lack awareness of our facial expressions and bodily gestures, it can translate as aggression and cause even more conflict to occur. It has been found throughout various research studies, that colors, sounds and lighting can affect moods and therefore, effect interactions. These are elements which we often have control over, so it may be worth evaluating your environment to see if initial mood and positive energy can be improved prior to conflict initiating all together. Relationships are a process of give and take. Trying to be right all the time can be detrimental and thinking there is a right and wrong can set couples off track fast. Sometimes, the best resolution is a blend of ideas that come out of tension and initial conflict. Take the time to communicate and try not to give up in moments of fluster and frustration. Conflict can play a positive role if you let it help you boost your communication effectiveness and propel your relationship to new heights. Just like failures along the road to success, conflict can aid as a new birth for discussing greater ways to live in harmony through the process of renegotiation and in better understanding the people you love the most. For additional support or consulting services, feel free to contact Katya Juliet through her business website, Buzzword-Consulting. Buzzword Consulting offers affordable digital marketing services, consulting, copywriting & PR for small businesses, start-ups, entrepreneurs & non-profit Organizations. Get people Buzzing About Your Business!